Excellent novel about meth labs in Kentucky. Deputy Jesse Pace returned home to be close to family, win back the affection of his high school sweetheart, and do some good in his community. Little does Jesse know, Breckenridge County has become an epicenter in the “War on Drugs.” Methamphetamine is strangling the small town of Argyles Landing and powerful forces are aligned to build a domestic drug cartel with the intent of extending its reach throughout the United States. 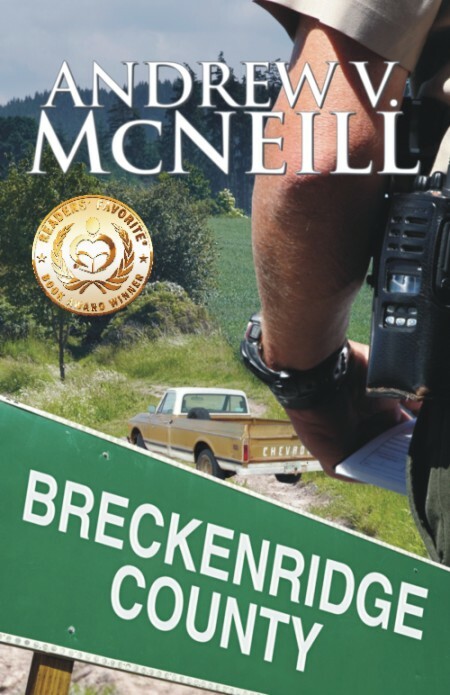 Breckenridge County is a well-researched, fast moving portrayal of the dangerous impacts and gritty elements of the meth epidemic taken from today’s headlines. It brings to light the malignancies simmering below the surface of almost every American community, large and small. Jesse Pace is on the front lines, battling each day to keep children and decent folks safe from this scourge. Given the stealth nature and combined muscle of the forces united against him—the question may be—Will one man fighting this fight be enough? Andrew V. McNeill is a public policy research consultant. Criminal justice and the War on Drugs have been within his research portfolio since 2003. He lives in Louisville, Kentucky.